Clinton saying she’s not for gay marriage, and then in 2013, had a change of heart. In January of this year, saying she voted for border security measures, some of which might have involved the construction of a wall or fence, and then in July, say that we’re not going to build a wall. In September of 2015, she was guilty of being a moderate centrist, but that changed in February of 2016. 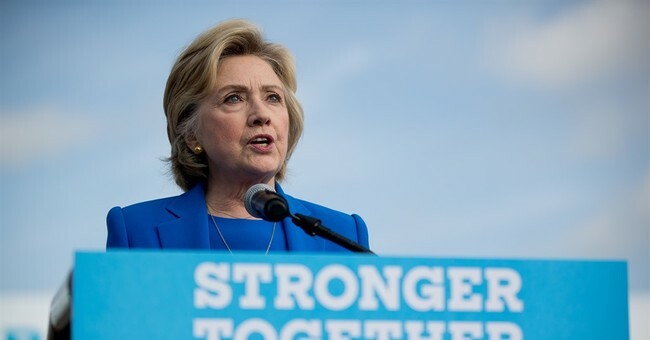 Her 180-degree turn on the Colombian Free Trade Agreement, which occurred after Frank Giustra, wrote some checks to the Clinton Foundation; Giustra’s energy company, Pacific Rubiales, was part of Colombia’s labor rights controversy. That time she slammed then-Sen. Obama’s campaign for attacking her stance on health care in 2008, where she voiced her disgust at Democrats going after one another over universal health care…which is exactly what she did against Sen. Bernie Sanders eight years later. The video ends with this quote from Clinton in 2008, where she said, “elections re about the future, but how do you determine what will happen in the future. Well, you have to look to the record. You have to look to what we say in campaigns and what we have done during our careers.” That’s rich, Lady Macbeth. This video is a worthy sequel to the epic 13-minute video showing Clinton’s biggest lies. Both videos relay one message: Clinton is untrustworthy.